Engaged? Looking to plan the wedding of your dreams? 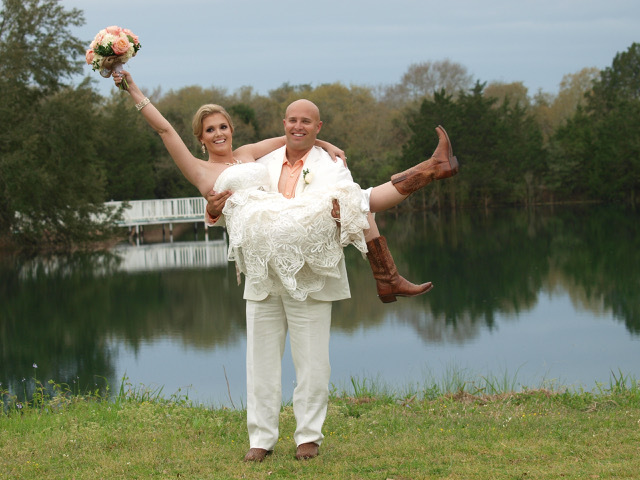 We at Houston Party Ride asked local wedding venues their advice to ensuring your wedding is one to remember! The wedding and reception should be a seamless occasion for the happy couple. 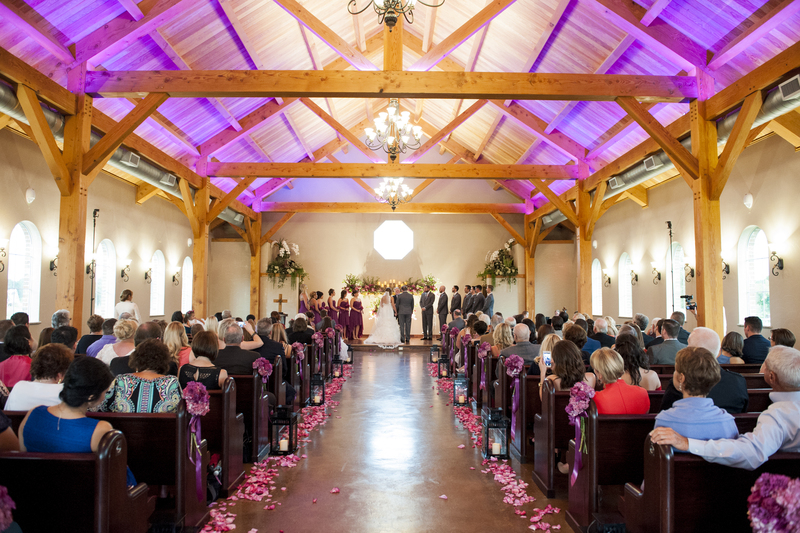 A venue offers this experience, especially one that is all-inclusive like Morgan Falls Event Center. An all-inclusive venue provides concierge wedding planning with everything you need-from catering to coordination and more-under one roof. 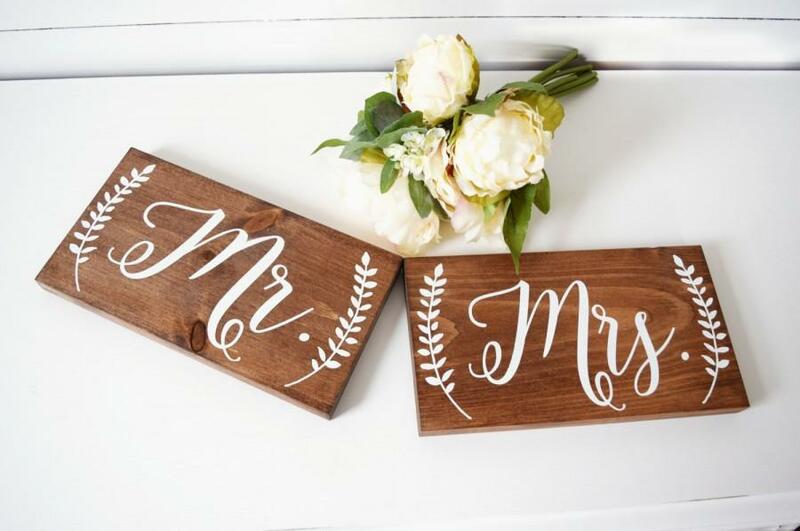 Hosting a wedding reception at a residence may sound like a good idea in the beginning, however the couple should consider the hoops and hurdles they may have to jump through, that can quickly become a headache. The couple will need to consider questions such as: Which noise ordinance and parking permits do we need? Is there sufficient space for guests to sit or dance? Is there enough space for parking? How many tables and chairs will we need? Let’s not forgot the big question Who will clean up? Those are just a few items on our checklist for planning a successful wedding reception. A venue will allow them to focus on starting their life together, instead of planning event details. Of course, where the couple has the reception is ultimately their decision, but having it at a venue can give the couple a breathtaking affair to remember. 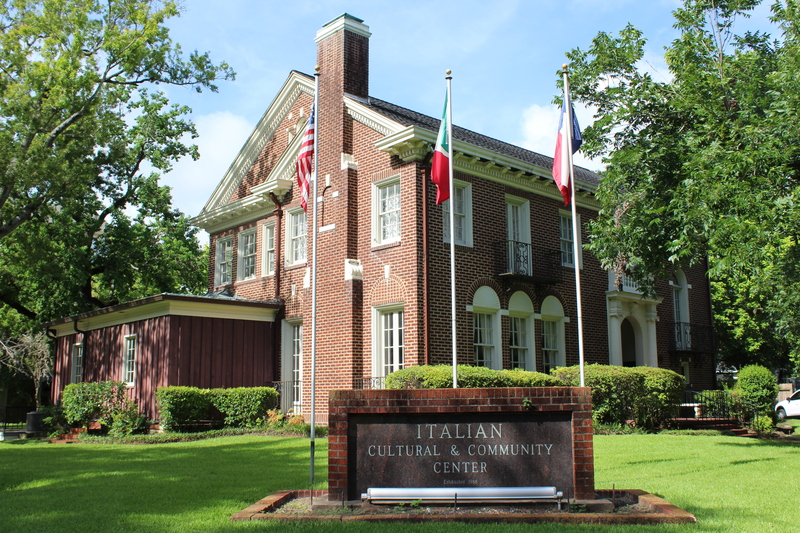 With a venue like The Dunlavy, you can get everything in a one stop shop including your Event Coordinator! It may seem more personal at home but take the work away from you and do our best to make your wedding as effortless for the bride and groom as possible so you can enjoy your special day. We suggest you use a venue to not only wow your guests but give them a true taste of what you love. You can bring in so much personality through decor, food, the bar, and colors! Choosing the venue is probably one of the biggest considerations in wedding planning. The venue is what will help the couple set the tone and establish the vibe they want to convey to guests. Generally, the choice of a residence as the venue sets the scene for a more intimate and laid-back atmosphere. 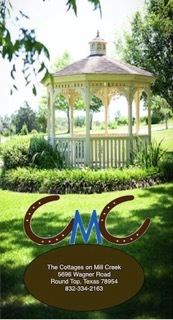 A wedding at a home, farm, or ranch can set the scene for a warm gathering of friends and family, especially if lodging is included in the venue rental package. Too often a couple will come to the end of the wedding day and feel like they were barely able to visit with their guests. A residence-based wedding with lodging included allows more time to visit with those the bride and groom may only see on occasion. To ensure success when pulling off such a wedding, the first and most important point is advance planning with a realistic schedule. 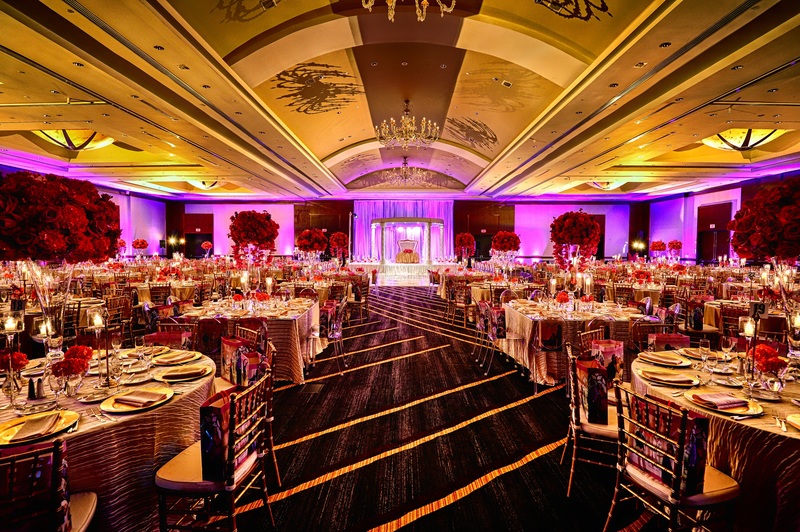 Communicate in advance with the venue owner and know when you may begin decorating. Know what items are available onsite and use them, as opposed to bringing an abundance of items with you. Minimize the work you need to do as much as possible, then schedule time for decorating and socializing as you prepare for the ceremony, and afterwards, as you clean up. A realistic schedule will minimize your stress. In addition to advance planning and scheduling, it is helpful to have a designated person in charge of setup, event, and cleanup. This doesn’t have to be a wedding planner. It could be a friend or relative, and preferably one who isn’t directly involved in the festivities. Bring that person along on visits to the facility if possible, and make sure the venue owner or director knows who they are. Communication is the final critical factor. One great benefit of having the event at a residence is the personal involvement of the owner. The owner/director tends to be more available and willing to engage in advance planning and intimately knows and cares about the venue. This allows he or she to make recommendations and suggestions that will be helpful to a successful event. In addition, communication with the vendors is important. Be sure they know where they are going and ask them specifically what they will need to set up. A residence wedding may be different from the set-up they are used to at a more traditional venue. Communication with your guests is also helpful. Let them know they may be going a little out of the way- perhaps not in the city center. If they will be parking and walking, prepare them for that in advance or provide a shuttle. If they will be outdoors, let them know that too and provide fans, water, or blankets depending on the season, to keep them comfortable. A residence wedding is a wonderful way to slow down a day that may rush by all too quickly. Following these few tips will allow you to maximize the benefits of an intimate setting and create the most memorable event possible for yourselves and your guests. Few people have access to a Father of the Bride home along with a Hollywood budget for planning. Remember how much time, stress and money it took to make that property picture perfect? A tent alone could break the bank. Brides typically choose us because of our ability to make the wedding process easier and more enjoyable. Not only do we have a veteran staff to guide the brides through the intricacies of events, but also provide a wealth of resources from ideas and trends to staffing and equipment making dreams both realistic and a reality. Having everything at our fingertips - from valet and security to linens and china – eliminates the hassle, additional costs and outsourcing elements that would needed make a home event ready. We know many couples are looking to save money on their weddings these days, and some are considering residences versus professional wedding venues. However on your special day you'll want to be able to enjoy your family and friends, and not worry about organizing all details. Professional venues will help you cover all the things you might not think about, such as insurance, adequate bathroom facilities for your guests, and indoor alternatives if your outside ceremony location gets rained out. 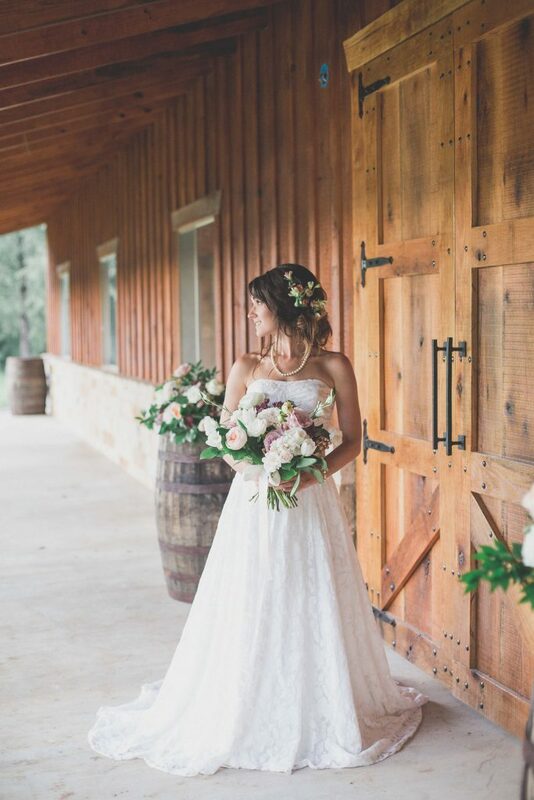 At BlissWood Bed and Breakfast Ranch, we have a variety of wedding packages with different levels of coordination depending on a couple's budget and needs. Our authentic Texas vacation homes are the perfect compromise between a traditional venue and a residence, and offer plenty of space and privacy. Your wedding day isn't something you want to take a gamble on. We'd recommend trimming your guest list a little over hosting your event at a private residence. A Texas Renaissance Festival Wedding is truly a unique experience. Every bride wants to feel like a princess, here we won’t just make you feel like a princess, we will make you one. We have hundreds of amenities to make your day truly special. No DIY decorations or familial stress, here our very experienced and professional staff takes care of every detail from premium parking for your guests to clearing a path to our wedding chapel for each and every bride. With five themed ceremony sites and two private reception venues, say “I do” to a Royal Wedding Ceremony provided by the Texas Renaissance Festival. When considering a venue for your wedding, in general, a private residence provides more intimacy and less formality in the structure of the service. It is often decorated and planned with friends and family, creating warm memories for all who know and love you both. A rented venue often comes with a wedding planner, familiar with the ways the facility can be decorated and used and who is experienced in all sizes and styles of weddings as well as specifics for various faith traditions. The planner can ask questions and make suggestions from their experience that will personalize your wedding while maintaining a smooth execution and flow – so that all your guests witness is your love and joy that day! We've had many brides who are price shopping and trying to distinguish what would be better for their budget; hosting their wedding at a venue versus having their wedding at a private residence. There is a common misconception that you can save a lot of money by hosting the wedding at a friend or family member's home and the fact of the matter is; that is simply not true. There are items that a commercial venue naturally provides that private residence does not. For example, most private residences do not have the proper electrical requirements that a DJ, band, lighting, and other vendors need. A venue will also provide plenty of restrooms. Another amenity that is often overlooked is a dumpster. Most of all a venue provides a rain plan and peace of mind which is priceless. All of these items and many more are common oversights that will demand extra dollars in the budget that most brides do not accommodate for. Although at first thought, it might seem less expensive and easier to have your wedding reception at a residence as opposed to a venue, there are a lot of hidden costs to consider. Most people do not have enough tables, chairs, linens, plates, silverware, napkins, glassware, etc. to accommodate a large number of guests in their home, so renting all of these items will be necessary. The cost of rentals can add up quickly. Each person will require at the minimum, one glass, one dinner plate, one dessert plate, two forks, one knife, and one napkin. The average cost for each item is $0.60, so that is about $4.20 minimum per person plus tax and delivery, and that doesn’t include tables, chairs and linens. Rental companies typically deliver Monday-Friday 8am to 5pm and Saturday mornings only, so if you require delivery or pickup on Saturday afternoon or evening or on Sundays, you will have to pay a hefty after-hours fee. You will also have to find a caterer and pay for additional staff to handle the rentals. You also need to consider having your house cleaned before and after the event as well as trash management. The beauty of having an event at a venue is that all you have to do is show up, and everything is included in the venue rental. No need to worry about cleanup either! It is definitely the easier (and possibly cheaper at the end of the day) way to go! Our biggest advice to couples is to visit the places that you’re interested in and don’t be afraid to ask plenty of questions. The setting of your wedding will be a huge factor in the mood and ambiance, so choose a place that fits your theme, personalities, and love story. Having your reception at a residence or similar location as opposed to a venue can change the look of your wedding completely. Either could be decorated in whatever way you would like, but a residence gives off a feeling of home and intimacy. Spend time in the space thinking about how you can bring your vision to life, how the tables and décor could be arranged, how the photos will look, and how the reception would feel overall. This is your big day, spend it in a place that makes you feel the most comfortable. I've seen beautiful weddings at private residences, but quite often the planning process becomes even more stressful because couples don't realize the costs associated and the extent of what needs to be rented for a wedding. In addition to the usual linen and decor rentals, items such as tables, chairs, dance floor, restrooms, trash cans/dumpsters, a tent, fans/heaters would need to be rented. These costs can add up quickly and add additional stress to the days leading up to and immediately after your wedding with trying to schedule deliveries and pickups, setting up, and breaking everything down, and making sure everything is accounted for. In addition, you also have to think about parking, staff (who's cleaning up your tables and taking out the trash? ), storage space for your food and beverage items, and what your back up plan is in case of inclement weather. Especially in Texas, the weather can change in an instant and if you planned an outdoor ceremony and reception, you may be up a creek without a paddle, so to speak. Choosing a venue to host your wedding can absolutely alleviate some of these stresses. 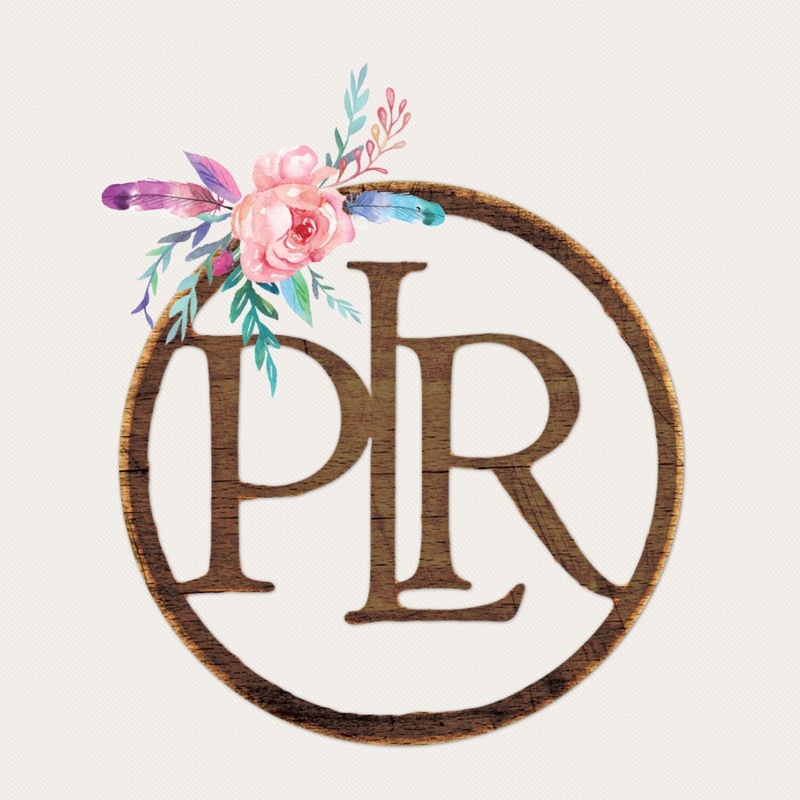 Most venues already provide the additional items that you would have to rent at a private residence and we have the experience to deal with changing situations that inevitably come up during the wedding planning process, including changes in weather. Many couples look at the cost of renting a venue for their wedding and think it's bound to be cheaper at a private residence, but when you take into account all of the additional expenses and additional hours of work you're having to put it, that's not always the case. Most couples who opt for hosting their wedding at home vs a venue usually do so assuming it will save them a lot money on venue fees, but what most people do not consider is that backyard space is not set up for a wedding. Some things included in venue cost would still have to be purchased - chairs, tables, dance floor, etc; not to mention the additional cost of tenting. All these things will have to be brought in, which will cost some money and often times prove to be a challenge. Since the space is not set up for weddings, the placement of things can become awkward. More importantly, without on-site personnel, there would no one to provide guidance or offer suggestions along the way. Venues set up, break down, clean up, and ensure everything runs smoothly--the couple is entirely on their own with a backyard wedding, which adds a whole lot of more work and stress. 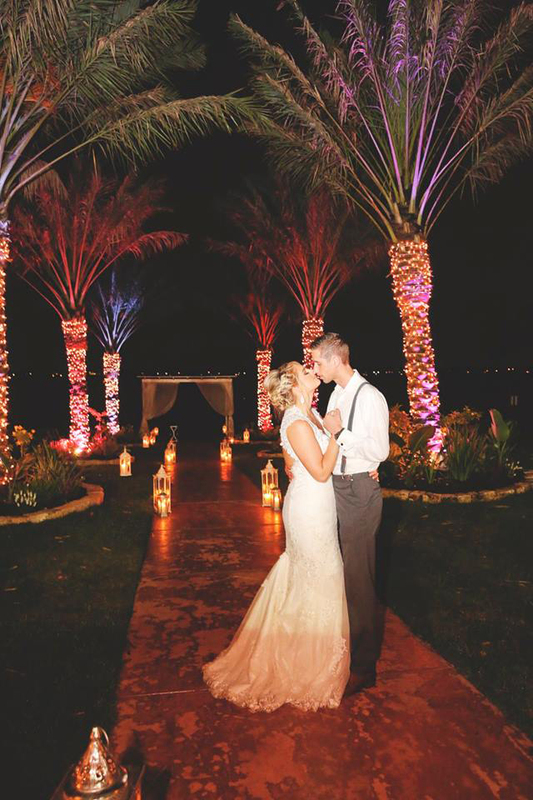 Backyard weddings are popular for those who love to DIY, but there are many affordable wedding venues out there that will allow you fulfill your DIY dream wedding without the hassle and headache! A venue allows for foot traffic and saves your residence the wear and tear. Firehouse Saloon is rustic, unique and steeped in tradition. 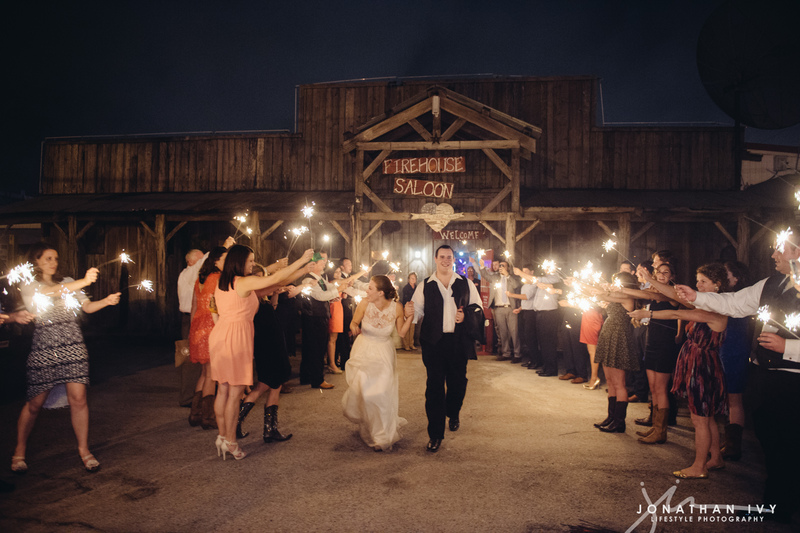 Firehouse is a premiere event venue hosting both wedding ceremonies and receptions as well as all types of corporate events. Having your reception at a residence can be very personal and intimate, which works for some couples wedding vision! We like to educate all of our couples on all the things that the venue will do in the background, that might seem meniscal. Setting up tables and chairs, washing all china, silver ware, and stemware, combating parking and providing enough restroom facilities for all of the guests. All of these things are staples for a successful event! If you don't have these things taken care of, it might just throw a wrench in your wedding vision. Lindsay Lakes motto is City Elegance, Country Charm. We are family owned and operated and want all our couples to feel comfortable and stress free. We are an all inclusive venue. We provide deluxe bride and grooms suites, lakeside or chapel ceremony, and 2 halls for your reception. Our wedding coordinator team will guide you through the entire process of planning your wedding and will be there to assist you at your rehearsal, the ceremony and reception. Our full service kitchen prepares exquisite menus from our own gourmet kitchen. We also have a wonderful selection of preferred vendors to choose from and amazing staff. Lindsay Lakes is a venue located on 21 beautiful landscaped acres to make your wedding day dreams come true. We will work with you on creating a customized quote based on what you want included and can work with you on a budget. 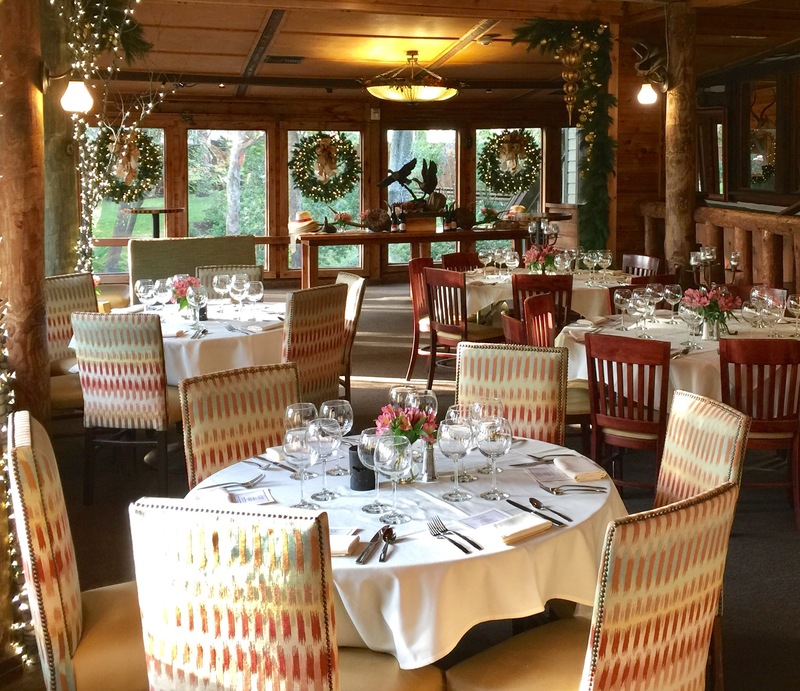 Lindsay Lakes would love to be a part of your special day. Not all restaurants are the perfect backdrop for ceremonies and receptions but I feel like those of us who are set up for weddings are the most economical and low stress places to plan a party because the kitchen, the décor, tables, chairs, flatware, china and glassware are all built in to the site. You literally do not have to pay to rent all of those and coordinate deliveries and caterers. Another significant upside is post party clean up, at Rainbow Lodge, you show up, enjoy your event, let us handle the food and drink and then you leave. We take care of the rest.